Astral is full of delicately balanced and nourishing ingredients which make it a perfect all-over moisturiser. 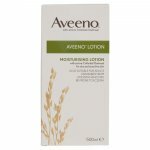 It can be used everyday to keep your skin soft and supple, and can tackle even the driest skin on your elbows and feet. Versatile Astral can also be used as an after sun lotion and make-up remover. ASTRAL - THE SIMPLE ALL-OVER MOISTURISER FOR ALL YOUR SKIN NEEDS. ASTRAL LOCKS IN THE SKIN'S NATURAL MOISTURE WHILST STILL ALLOWING IT TO BREATHE, LEAVING SKIN FRESH, HYDRATED AND PROTECTED. ASTRAL IS THE TIMELESS AND TRUSTED CHOICE INTENSE MOISTURISATION AND SKIN NOURISHMENT. Lanolin is a rich natural moisturiser which binds water to itself, locking moisture in while still allowing the skin to breathe. It’s naturally hypoallergenic and easily absorbed. Glycerine attracts water into the epidermis, increasing its moisture content. 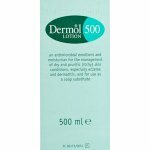 It’s thought of as having a Natural Moisturising Factor for smoother-looking skin. 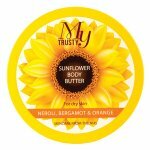 Together, these renowned moisturisers give mature and very dry skin the nourishment it needs and help protect it by keeping essential moisture in. You can feel it working hours after you’ve applied it. Because skin becomes more sensitive as we age, the products we use need to be gentler. This means that some ingredients found in ‘anti-aging’ products can actually irritate your skin. Although claims about ‘miracle’ ingredients can be tempting, you can’t stop the clock. What you can do is give your skin the care it needs now. Moisture is the most important thing for mature skin. That’s because the skin’s natural moisture levels decrease as we age. The visible result of this moisture loss is that the skin becomes more wrinkled, rougher, tighter and duller. To tackle signs of aging, care for and protect the skin as you get older, you need a thicker, creamier moisturiser that locks moisture in. That’s exactly what Astral does. Astral’s effective original formula doesn’t contain ‘anti-aging’ ingredients; after all, you can’t turn back time. Astral does contain ingredients that are known to deeply moisturise and protect. 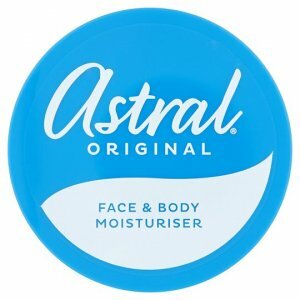 Just one pot of Astral all-over moisturiser is all mature and dry skin needs, without lots of stuff it doesn’t. It really is that simple. After switching to Astral for 28 days, over half of women said they’d consider continuing to use it instead of their usual moisturiser. Aqua, Paraffinum Liquidum, Glycerin, Paraffin, Lanolin, Ozokerite, Lanolin Alcohol, Petrolatum, Isopropyl Myristate, Magnesium Sulfate, Parfum, Propylparaben, 2-Bromo-2-Nitropropane-1,3-Diol, Alpha-Isomethyl Ionone, Amyl Cinnamal, Benzyl Alcohol, Citronellol, Coumarin, Geraniol, Hydroxycitronellal, Hydroxyisohexyl 3-Cyclohexene, Carboxaldehyde, Linalool.